Meet Charlotte Gwyer! This year in May Charlotte will celebrate her 2nd birthday. Birthdays are a big deal to her family. Every day is a celebration of life. You see, before Charlotte was eating the cake on her 1st birthday party, she was fighting for life. Charlotte has complex congenital heart defects (CHD's). She didn't choose heart disease. She required life-saving open heart surgeries and will continue to need close monitoring throughout her life. 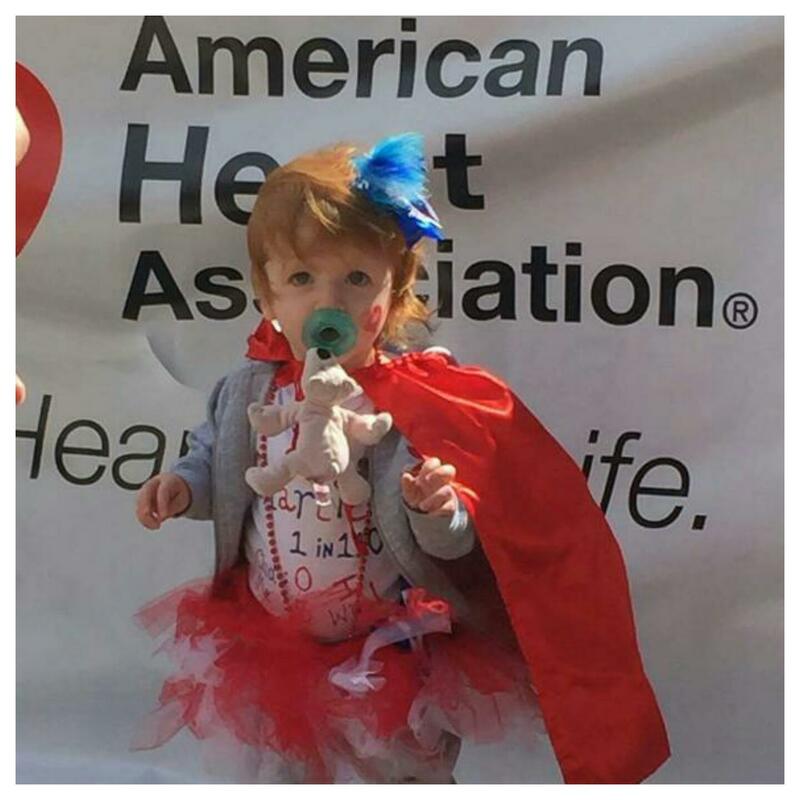 Your generosity through donations to the Open Your Heart campaign enables the American Heart Association to fund groundbreaking research that will help save millions of lives as in Charlotte's case. Your donations also help the AHA to develop guidelines to improve patient care and help people lower their risk factors for heart disease and stroke. As long as heart disease continues to be the nation’s No. 1 cause of death, the importance of our work will only grow. Open Your Heart gives donors the opportunity to make a direct impact on the AHA’s mission by making a personal gift. Please consider making a gift to Open Your Heart.